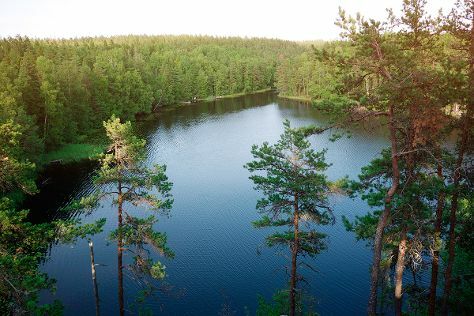 Get in touch with nature at Nuuksio National Park and Ispoinen Beach and Sauna. Relax by the water at Bellevue Beach and Vepsa Island. Get out of town with these interesting Turku side-trips: Ekenas Archipelago National Park (in Raseborg), Teijo national park (in Pernio) and Old Rauma (in Rauma). There's lots more to do: step into the grandiose world of Turku Castle, buy something for everyone on your list at Turun Kauppahalli, admire the masterpieces at Turku Art Museum, and examine the collection at Luostarinmaki Handicrafts Museum. To find where to stay, maps, ratings, and tourist information, read Turku trip itinerary planner . In March, daily temperatures in Turku can reach 3°C, while at night they dip to -5°C. Finish your sightseeing early on the 4th (Thu) to allow enough time to travel back home.